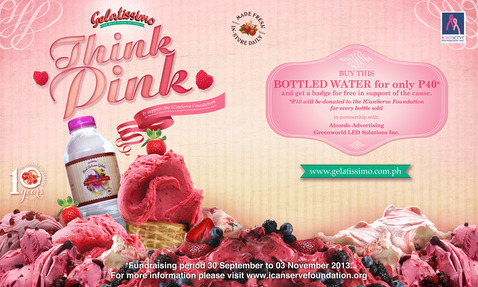 For the second year in a row, Gelatissimo, Australia’s most popular gelato, is supporting ICanServe Foundation with “Think Pink”. 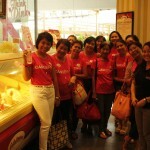 From September 30 to November 3, buy the Gelatissimo Think Pink bottled water for only P40 and get a badge for free in support of ICanServe. 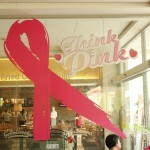 P10 will be donated to the foundation for each bottled water sold. 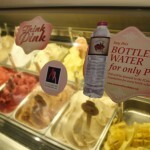 Gelato is a low fat alternative to traditional ice cream. 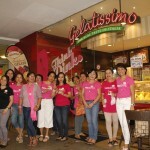 Gelatissimo serves a range of sundaes, coffee and smooth gelato shakes. 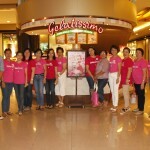 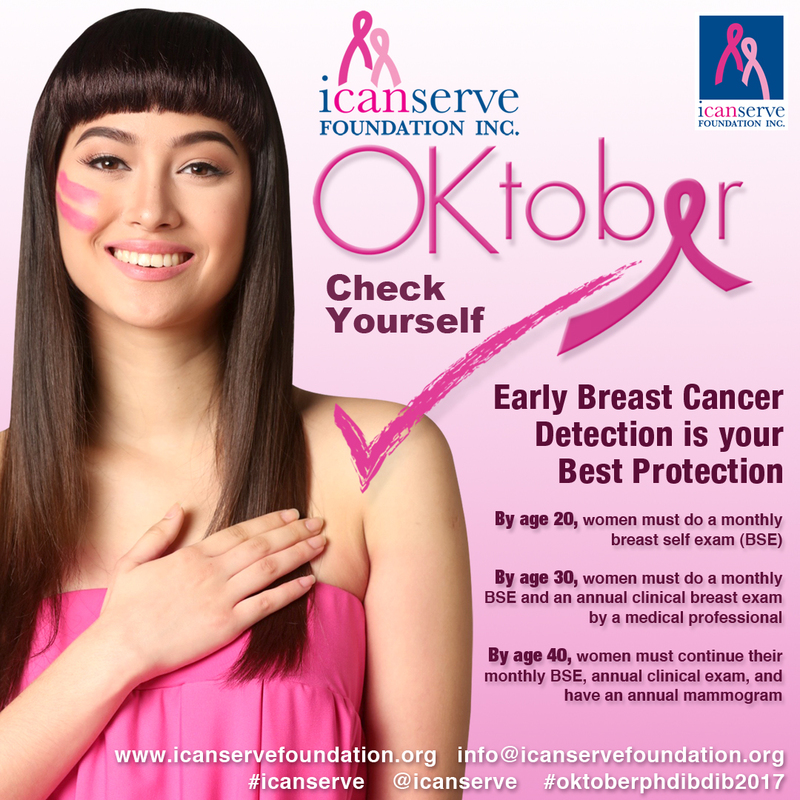 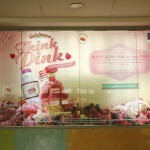 Photos show ICanServe Cebu Chapter members at Think Pink launches in Ayala Center Cebu and SM City Cebu on September 30.